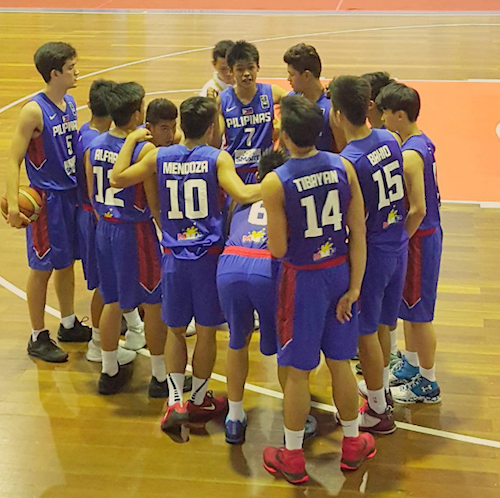 Batang Gilas made short work of Singapore on day four of the 2016 SEABA U18 Championship in Medan, Indonesia. The Filipinos remain as the only undefeated team in the tournament even as Thailand and host Indonesia remained within striking distance with separate wins. - The Laotians were neck and neck with the Thais for one whole half before coach Sopon Pinitpatcharalert’s wards turned on the jets in the last two quarters to break the game wide open. Thailand held on to a slim 42-41 lead at halftime, but they scored the first 27 points of the second half to pretty much take over and put the outcome beyond doubt. Three-point specialist Atikom Sapakong exploded for Thailand, hitting 8 triples en route to 24 points. He was backstopped by 18 points from Pongsatorn Tabtim, while Bunpot Tanrattana Phithak recorded a 12-point, 11-rebound double-double. Rattana Thavatsay, meanwhile, paced Laos with 24 markers of his own. - For the second game in a row, Batang Gilas failed to break the century mark, but that hardly mattered as a strong start ensured a reasonably comfortable win over Singapore. Coach Mike Oliver’s wards led by 10 at the end of the first period and extended that to 22 at the half to effectively be in control of this encounter. JB Bahio paced the victors with 16 points, 6 rebounds, and 2 blocked shots, while Pedrito Alfaro and Josh Sinclair scored 12 and 11 points respectively. Batang Gilas ruled the boards and the paint in this game, but one red flag was the team’s turnovers. The error-prone Filipinos turned the ball over 24 times, giving up 16 points of turnovers to the Singaporeans. Nobody scored in double-figures for the losing side, which was led by Xuan Sim, Justin Yeo, and V Lavin Raj, each of whom scored 9 markers. - Like their game against the Philippines, Malaysia had a fiery start, leading by 10 after the first 10 minutes of play, but the law of averages caught up with them anew as they let Indonesia wrest control of the match in the next three periods. This defeat puts Malaysia in danger of not finishing in the top three and, therefore, not qualifying for the 2016 FIBA Asia U18 Championship in Iran later this year. The host team drew a huge game from Yudha Saputera, who scattered 6 triples on his way to a game-high 29 points. Abram Nathan also did well with 15 points and 4 boards for Indonesia, while Malaysia was paced by Joon Kang Lee’s 14 markers. The Malaysians won the battle of the boards, 51-42, but that was offset by their 25 turnovers and the fact that they had only 5 assists. 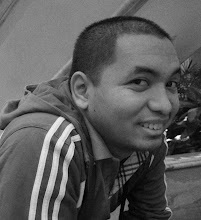 Line of the Game: Yudha Saputera (INA) - 29pts, 3rebs, 2asts, 2stls, 6 triples, 10/20 FGs. - If PHL, THA, & MAS win: PHL & THA advance to the Finals and both qualify for FIBA Asia U18. MAS & INA battle for 3rd place. - If PHL, THA, & LAO win: PHL & THA advance to the Finals and both qualify for FIBA Asia U18. MAS & INA battle for 3rd place. - If PHL, SG, & MAS win: PHL & THA advance to the Finals and both qualify for FIBA Asia U18. MAS & INA battle for 3rd place. - If INA, THA, & MAS win: 3 teams tied for 1st place and the quotient will determine who qualifies for the Finals, but unless PHL loses by a mile to Indonesia, this still means PHL & THA meet in the Finals while INA & MAS dispute 3rd place. - If PHL, SG, & LAO win: PHL & THA advance to the Finals and both qualify for FIBA Asia U18. SG & INA battle for 3rd place. - If INA, THA, & LAO win: 3 teams tied for 1st place and 3 teams tied for fourth place. The quotients among these teams will determine who qualifies for the Finals and who battles for 3rd place. - If INA, SG, & MAS win: PHL & INA advance to the Finals and both qualify for FIBA Asia U18. THA & MAS battle for 3rd place. - If INA, SG, & LAO win: PHL & INA advance to the Finals and both qualify for FIBA Asia U18. THA & SG battle for 3rd place.